Mixed metal hammered iron pendent with dark silver exterior accented with brass stripes. Silver mesh cord. 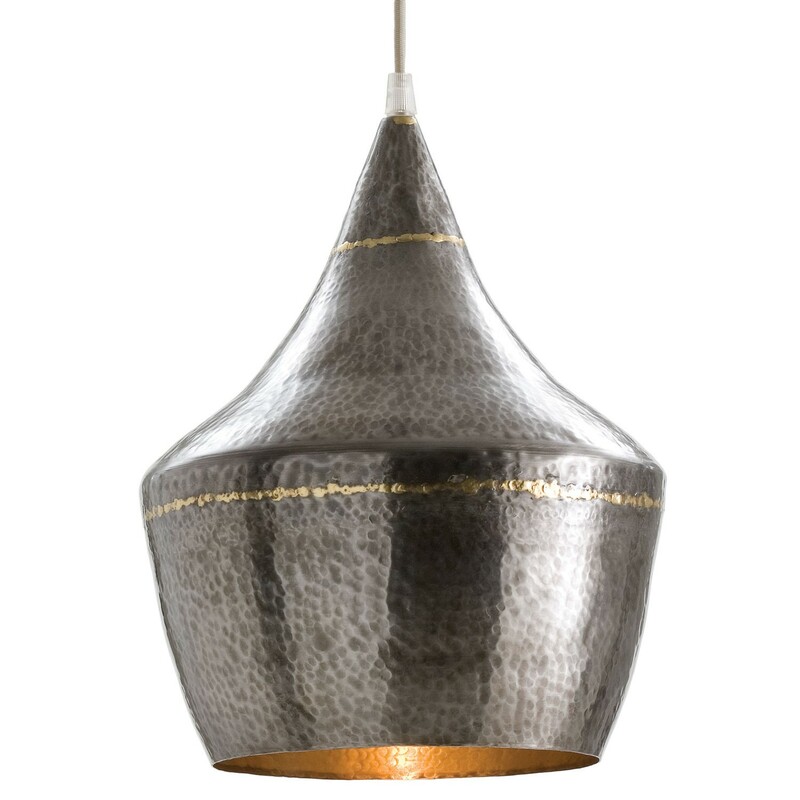 Info: Ships out within 1-2 weeks of your order being placed, direct from Arteriors to you. Shipping time: Add up to 2 weeks for delivery, depending on the ship-to location. We will contact you with freight shipping details when your order is ready to ship out.